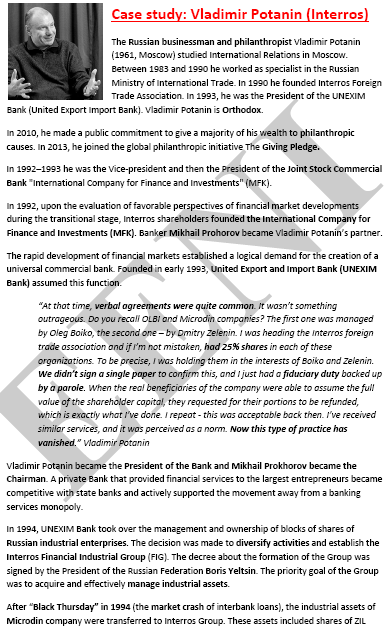 Syllabus of the Online Course (Subject): Vladimir Potanin (Russian Philanthropist). Learning materials in or Vladimir Potanin Vladimir Potanin Vladimir Potanin. The Russian Businessman and Philanthropist Vladimir Potanin (1961, Moscow - Russia, Europe) studied International Economic Relations in Moscow.